I normally don’t get all preachy and “should-y” in my writing, especially when it comes to how people choose to live their lives. That’s none of my business. However, I feel pretty strongly about today’s topic, because I think everyone deserves to spend one day a year focusing on themselves (whatever that looks like for them). If you’re an adult who still celebrates your birthday, you’ve probably heard “aren’t you a little old for that,” or “you still celebrate your birthday, how old are you?” I celebrated my 28th birthday last week and yes, celebrate is the right word. I am a minimalist and don’t really celebrate most holidays (like Christmas or Thanksgiving), but I make a point every year to celebrate my birthday in a way that aligns with my values. Why are birthdays so important to me? Well, for starters, it’s the only day that is truly about you. No one else can say your birthday is about them. That’s not how it works. In a world where we very seldom have the time to celebrate things properly, your birthday is the one day a year earmarked for your special kind of awesomeness. In our fast-paced world where we often don’t have or aren’t able to make the time for ourselves (or we find it too uncomfortable for us to be the center of attention), our birthday is the one time we are fully given permission to have a self-love fest. The second reason birthdays are important to me (not just my own — I love celebrating other people’s birthdays too), is because one day, they’ll stop happening. I don’t mean to sound morbid, but getting to celebrate a birthday every year is an absolute privilege and one that is not afforded to everyone. Celebrating a birthday means you’re still alive to do so, plain and simple. And it is a wonderful honor to be able to do that. I have family members who complain about getting older every year. I’m sure getting older is no picnic, and it must be hard to see your body change as the years go by. But getting older isn’t something that everyone gets to do. Some people pass before their time and I’m sure those people would have given anything to be able to have just one more birthday. This is all the more reason to thoroughly savor every birthday you do have the privilege of celebrating. That’s why I do it. This birthday started off a little bit earlier than I would have liked, since I had to pick up my partner from the airport at 1:00 AM (talk about a great birthday present). After a very long nap (aka sleep), we hit the road to Sleeping Giant Provincial Park. If you follow me on Instagram, you’ve seen the awesomeness that is the Sleeping Giant (or the “Giant,” as I call him). The one “thing” I wanted for my birthday was to go for a hike. So, that’s what we did. We knew we wouldn’t be getting picture perfect weather. It was a little colder and rainier than would have been ideal, but that meant the popular trail we picked was quieter than usual. It was a quick route, 3km in and 3km back. When we walked out of the forest and into the prize of our hike, I was lost for words. We came out at a totally deserted beach that was fogged over like a Scandinavian noir show on Netflix. It was beautiful and haunting, and completely serene. We had the entire place to ourselves. After dipping our toes in frigid Lake Superior, we sat on a log and watched the fog roll in and out of the bay. It was mesmerizing in its simplicity and rhythm. And it was an absolute joy to be able to take that time, to explore nature and really soak it in. When I think about turning 28, it kind of freaks me out. Not because I’m afraid of aging — that’s the last thing in the world I’m afraid of. It freaked me out because I still feel like that 23-year-old woman who had just graduated from grad school. I still feel like the woman who is trying to figure out her way in the world. I tend to give myself a hard time that I’m not at the “right” place in my life. Like I should be earning more money or working a prestigious job. All 28-year-olds have their lives figured out like that, right? I think part of it has to do with the fact that society prizes youth over wisdom — especially in women. We’ve all heard the story of a talented actress who gets tossed to the wayside because a younger actress is trending. It’s also uncomfortable to think about aging, because we know where it ends. But, despite this, I’ve always personally found it empowering. I know how my life is going to end (the same as everyone else’s). It’s only the time between now and then that I have control over. Sitting on the old driftwood on Lake Superior, I remembered what a gift it is to celebrate a birthday. Especially with how and whom I got to spend it. 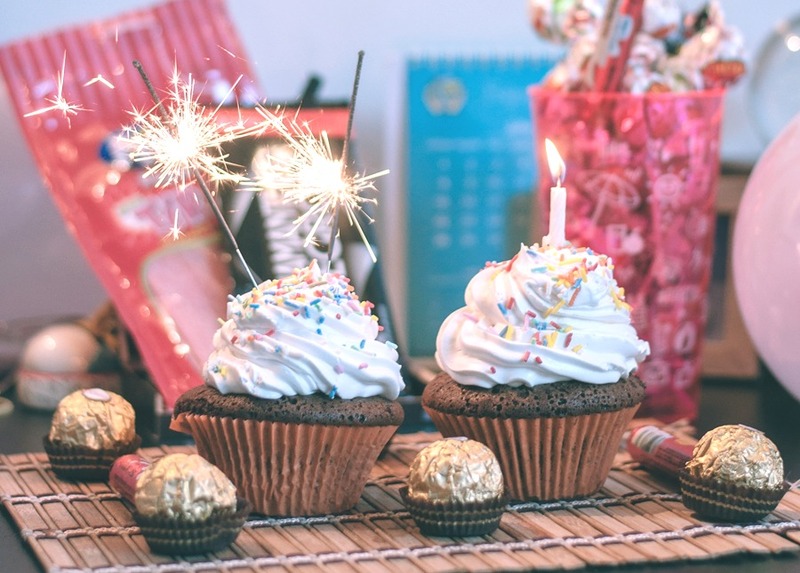 Is celebrating your birthday a necessity? No. But, if you avoid celebrating it like the plague because you don’t like being the center of attention, or because you don’t want to think about the numerical value that will now be attached to your life, I urge you to reconsider. How do you feel about birthdays? Do you like celebrating yours every year? Let me know in the comments!